Today, in South Africa, the mere skin color and language (Afrikaans) are used as symbols to identify the particular ethnic groups that are being targeted for extermination. During the apartheid years, racial discrimination was very intense, especially against blacks, coloreds and Indians. Our South African society was much divided. When the ANC was elected to power, promises were made to unite South Africa into one rainbow nation. Our country is much more divided than before; apartheid laws are no longer on the statute book, but the nation remains deeply divided. The unwise application of affirmative action is driving all our ‘born free’children to foreign Western and Asian countries to look for jobs and better prospects. Thousands of our best young people (highly qualified) have left South Africa and are working in the UK, USA, Australia, New Zealand, Dubai, Qatar, Kuwait, the UAE and several other countries where the prospects are much better. The early signs of the dehumanization of white South Africans are clearly visible in South Africa. Many black politicians like Jacob Zuma and Julius Malema are referring to white citizens as ‘settlers’ or ‘colonialists’, ‘racists’, and many other negative words. As a society, South Africa is at this critical stage where radical, political groups like the EFF, BLF, and others, are meticulously planning the removal of white farmers from their farms in the name of ‘land redistribution’ and ‘taking back their land. This, of course, is a pretext for violence, murder, and theft in the name of ‘freedom’ and ‘liberation’. Singing ‘freedom’ songs like ‘Kill (kiss) the Boer, kill (kiss) the farmer’glorifies the killing of white people in South Africa. Supporters of the EFF are encouraged to literally kill white South Africans in the name of ‘liberation’. Mob psychology is used to instigate violence against white Afrikaans speaking farmers. The persecution of white, colored, Indian and foreign Africans have begun in our motherland by radical, black political groups like the EFF. The discrimination of foreign blacks by South African blacks are very severe and the intolerance is growing daily. The brutality of farm murders in our country is shocking. Often, nothing is stolen and it becomes clear that many of these crimes are hate crimes, perpetrated by people who have been incited to commit murder. The Marxist ideal is to take away all private ownership and to allow the state to own all the land. This was done in Zimbabwe as well. It also resulted in Robert Mugabe owning 13 farms personally, all ‘liberated’ from white farmers by ZANU-PF members. Julius Malema does not have any original ideas; his political ideas are all stolen from failed Marxist despots who left their countries in ruins. There is a clear political agenda to promote these populist views amongst uninformed, poor, black people mainly living in townships, in order to gain more votes in the 2019 national elections. They are misled to believe that they will get previously white-owned land and farms if they vote for the EFF or ANC! 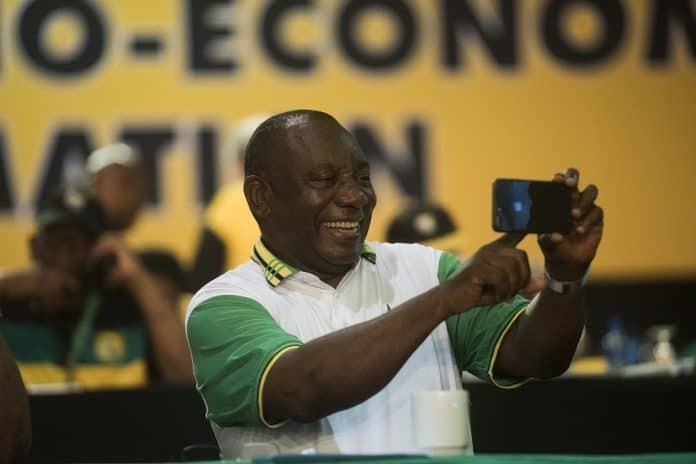 Of course, all blatant lies told by (once poor) politicians who once lived in RDP houses, but now drive in their expensive cars, dressed in designer clothing, living in multi-million rand mansions, sipping their twelve-year-old single malt whiskeys, having regular, expensive holidays in Dubai funded by corrupt businessmen thriving on multi-billion rand government tenders so generously given by our South African government. Our present government is denying that farm murders are being pre-planned by organized, politically connected groups. The SAPS are also not keeping statistics of farm murders as a special crime. 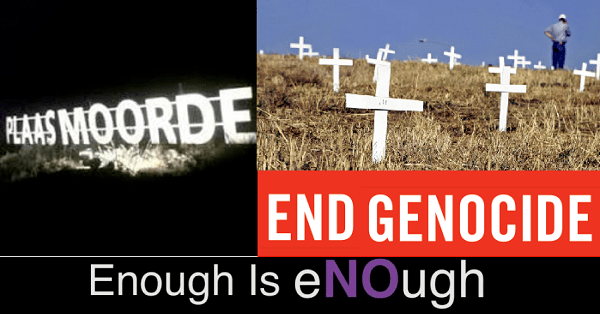 The message the general public is getting is that the state do not want to know the truth about farm murders in South Africa, hence the need for other civil society organizations to keep a daily record of farm killings and attacks.